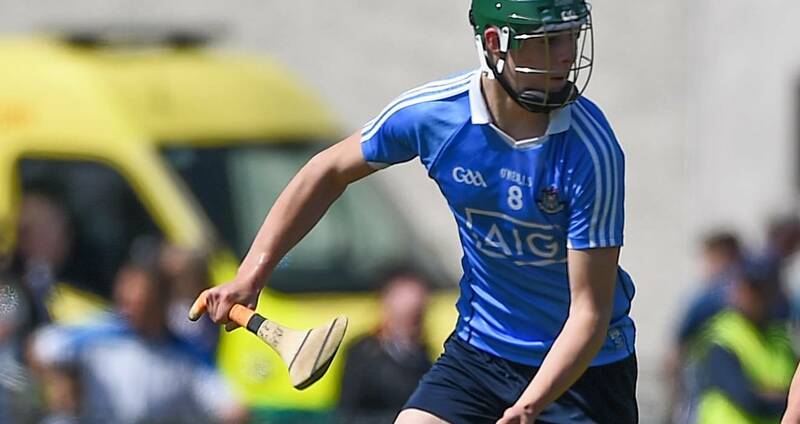 Dublin minor hurlers recorded their second win of the Leinster MHC Tier 1 round-robin section when adding the scalp of Wexford to that of Laois following their opening day defeat to Kilkenny. Donal Leavy was Dublin's scorer-in-chief from play as the midfielder amassed an impressive four points in Sunday's concluding round-robin game at Parnell Park. Kilkenny, Dublin, Wexford and Laois were all already guaranteed provincial quarter-final berth in this year's new format for the U17 grade and Dublin will next be in action on June 16. The Dubs probably should have had more to spare on Sunday against the Slaneysiders but finished with 13 men and conceded a late AJ Redmond goal. After a slow start in very difficult conditions Dublin led 0-9 to 0-6 at the half-time interval. Leavy ignited his side with two points before Seamus Fenton converted a free. Fenton added another point and with Darragh Power also getting on the scoresheet Mike Connolly's lad were three up at the break, 0-9 to 0-6. Dublin were guilty of some wasteful shooting in the second half but importantly Ciarán Foley was twice on the mark to keep his side on top. SCORERS – Dublin: D Leavy 0-4, S Fenton 0-3 (0-1f), C Foley, S Foran 0-2 each, C Hogan, A O’Neill (0-1 ‘65’), D Power, D McLoughney, A O’Toole 0-1 each. Wexford: AJ Redmond 1-4 (0-3f, 0-1 ‘65’), C Molloy (0-2f), J Kehoe (0-2f) 0-2 each, T Murphy, Z Firman 0-1 each. DUBLIN: J Lambert; A Waddick, E Carney, F Murphy; C Hogan, A O’Neill, I Ó hEithir; D Leavy, D Power; D McLoughney, C Foley, C Murray; S Fenton, L Swan, A O’Toole. Subs: S Foran for Power (52), D Breslin for O’Toole (55), P Christie for Swan (57). WEXFORD: D Hayes; F Roche, R Scallan, N Rowesome; E Doyle, D Codd, J Kirwan; C Molloy, D O’Neill; O Whitty, T Murphy, J Kehoe; R Lawlor, Z Firman, D Cantwell. Subs: AJ Redmond for O’Neill (ht), P Whitty for O Whitty (45), P O’Connor for Kehoe (52), S Walsh for Kirwan (56).